It’s been a bit of a strange week here in Charleston. 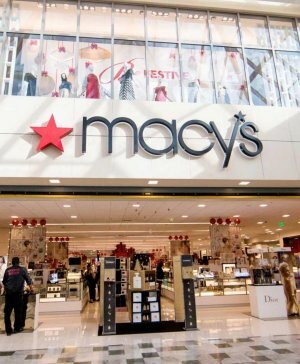 Macy’s announced that they were closing their store, an anchor store in the Charleston Town Center. 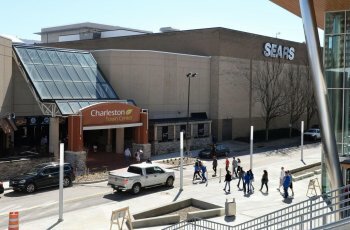 That same Charleston Town Center was auctioned off on the steps of the Kanawha County Courthouse, and essentially failed to sell, being bought back by the bank holding it in receivership for what was probably their minimum acceptable bid. 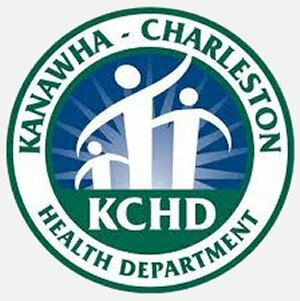 On top of that, there are rumblings that the Kanawha-Charleston Health Department plans to open a Suboxone Treatment Clinic in a location that is more than a little controversial. And out at the Southridge Shopping Complex, something weird is happening at the old Toys R Us building. The Macy’s move was not a major shock. The chain has been closing stores for some time, trying to get to a manageable size so they can stay in business. Their criteria, hinted at in the statements the company released, indicated that they thought they could get more money out of selling the building than they could by continuing to operate a store there. That indicated to me that, perhaps, they have already been contacted by a developer. My wild speculation is that a developer could buy Macy’s and the vacant Sears building that anchor the West end of the mall (seen left), and build a hotel, which would be right across the street from the newly-renovated Charleston Coliseum & Convention Center. It’s a primo spot, and a deep-pocketed developer could justify picking it as a location for a six-or-seven story hotel, with a grand entrance on Quarrier Street with a drop-off area and handicapped parking, a huge lobby where Sears is now, and escalators and elevators to the admissions desk, which would be where the second floor of the mall is now. The stores on that end would be relocated. The Chop House and Panera would stay where they are, open to the public, but also on the grounds as hotel support. The former Macy’s would host the hotel’s swimming pool, laundry service and conference rooms and hotel restaurant. You’d still be able to walk from the mall to the Convention Center. Both the Sears and Macy’s buildings would be demolished, with new structures replacing them. That end of the mall would have to be extensively remodeled and reinforced, and then the hotel rooms would go above that entire West end of the mall. And it would be right across the street from the new Charleston Coliseum & Convention Center (seen right). I realize that’s quite a bit of a pipe dream. Such a developer would have to buy both Sears and Macy’s and probably the entire mall, and then invest at least a couple of hundred million more on construction. And that’s a conservative estimate. In my wild dreams for this project, I’d see the hotel being a combination Hilton Garden Inn and Homewood Suites. Hilton is exploring this combination option, and they’re doing it in locations near convention centers. However, getting a developer to invest in building a massive and expensive hotel in a town where the company that owns two hotels near the Clay Center just declared bankrutptcy, might be a bit too wishful. But if you’re going to dream, dream big. 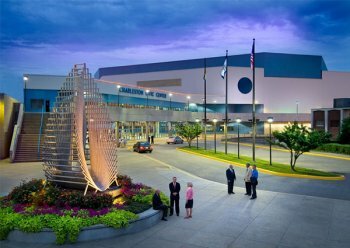 An unexpected development that’s popped up is the potential Suboxone Treatment Clinic at the Kanawha-Charleston Health Department, which would be in the shadow of my dream hotel complex. This one is a conundrum. This area has a terrific need for drug treatment clinics. We’ve been hit really hard with the opioid epidemic. We need all the treatment centers we can get, and the problem is grave enough that we may be past the point of playing NIMBY (Not In My Back Yard). There is a good argument to be made that the urban setting may not be the best for the patients. The proposed clinic would just be a brisk walk from the Transit Mall, which at times can be a bit like a shopping mall for hard drugs. These issues need to be studied and debated, and in the meantime maybe we need to fund and build additional clinics elsewhere in the county. One clinic that treats up to 12 people is only a drop in the bucket. Meanwhile out at Southridge, the old Toys R Us building still sits empty since the entire chain went under last June. A couple of weeks ago, when your PopCulteer and his wife drove by the building on the way to food, we noticed that all the lights were on, and the building was filled with what looked like unassembled fixtures. It had been dark since the whole chain shut down last summer, but notably, this building still has all of it’s Toys R Us and Babies R Us signs intact. Stores that we’d seen in some other cities had all the signage removed. It is likely that those are just fixtures that didn’t sell when the store closed last year. I wasn’t in there right after they closed, and with the lights off you couldn’t see them. This could very well be a case where somebody had to go in there for some reason and just left the lights on. Calls to the owner of the property have not been returned, and if anything is actually happening there, I doubt that anybody could say anything about it anyway. This isn’t exactly the sort of information that anyone wants to blab to reporters before they’re ready. So since I’m already in “wild speculation” mode today. How about I just put this out here? I will not be surprised if, either right before, or during, the International Toy Fair in New York City, which is coming up in a couple of weeks, Toys R Us announces that they will be reopening as many as 200 stores in their old locations, with the stores to be open sometime later this year, before Christmas. This is ENTIRELY SPECULATION. I have no proof, no inside information, nothing more than a hunch based on what I saw at the former Charleston TRU store. And, hell yes, it is indeed wishful thinking. With severence packages finally being paid to their former employees in January, the deck may be cleared for Geoffry and Toys R Us to return. Normally I would not run an item in PopCult with such flimsy supporting evidence, but it’s properly labelled as speculation. I just hope I’m right. UPDATE: As I write this, the New York Post adds fuel to my speculatory fire. They report that a new firm representing TRU is reaching out to toy manufacturers to place orders at Toy Fair. 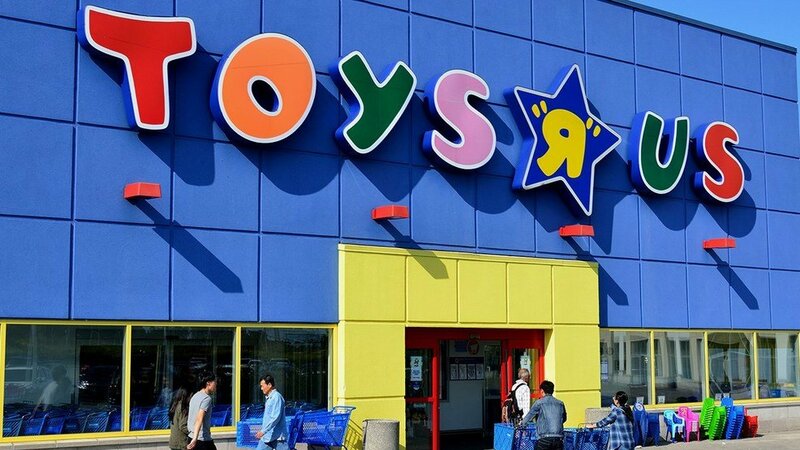 My timeline for an announcement might be off, and the lights being on in Charleston may have nothing to do with it, but it looks like Toys R Us will return this year. And that is it for this week’s PopCulteer. Be sure to check back for all our regular features and fresh content every day. I didn’t say my speculation was without foundation. I’m just wondering aloud if Macy’s could be part of this developer’s plans, if this deal did go through.